This list has Links that may be useful and informative for those interested in Railroads in and around the St. Louis, MO area. If you know of a website that should be listed contact the Chapter with that information. The St. Louis Chapter is the largest NRHS chapter in the midwest. The St. Louis Chapter NRHS works closely with The Museum of Transportation in St. Louis, Missouri. A special collection of the St. Louis Mercantile Library, the John W. Barriger III National Railroad Library stands today as one of North America's largest and finest railroad history collections. The Library is major resource for the history of railroad business and technology as well as for the study of railroading's influence on the American economy, society and culture. The Monitcello Railway Museum is an all-volunteer organization in central Illinois with an operational railroad yard open to the public. They collect, preserve, interpret, and exhibit materials and artifacts from throughout the fascinating history of trains and railroading. You are invited to come aboard our 12 inch gauge live Steam Railroad. Ride along the scenic Meramec River for a two mile round trip lasting about 30 minutes. The Gateway Division is the greater Saint Louis area chapter of the National Model Railroad Association (NMRA). The chapter is devoted to the development, promotion, and enjoyment of the hobby of model railroading. 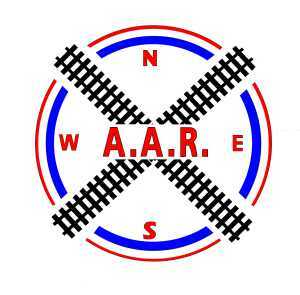 The American Association of Railroaders, Inc., is a non-profit educational and historical organization interested in transportation, especially railroads and tracked systems. This is a collection of Photographs of 1356 Missouri Railroad Depots.